VietPress USA (Feb. 12, 2018): According to Wikipedia, Chloe Kim (Korean: 김선) is an American snowboarder. She is an Olympic gold medalist, four-time X Games gold medalist and the first woman to win a gold medal in snowboarding at the Winter Youth Olympic Games. 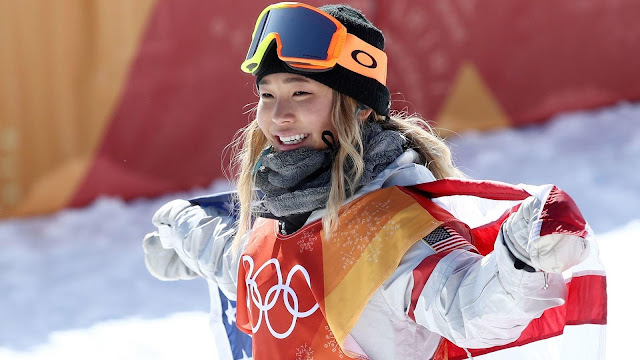 In 2018 she became the youngest woman ever to win an Olympic snowboarding medal when she won gold in the women’s snowboard halfpipe at her 17 year old. Kim was born on April 23, 2000 in Long Beach, California and raised in nearby Torrance. Her father and mother are originally from South Korea. Kim's father started her on a snowboard at 4 years old at their local resort of Mountain High, CA and she started competing at 6 as a member of Team Mountain High. Then she trained in Valais, Switzerland from 8 to 10 years old before returning to California and training at Mammoth Mountain, CA. Kim joined up with U.S. Snowboarding in 2013. While being too young to compete in the 2014 Sochi Winter Olympics Kim earned silver in superpipe in the 2014 Winter X Games, coming behind Kelly Clark. In 2015 Chloe won Gold in the super pipe event in the Winter X Games beating Kelly Clark. With this win, at age 14, Kim became the youngest gold medalist until she lost this record to Kelly Sildaru who won gold in 2016 at the age of 13. In the 2016 X Games, she became the first person under the age of 16 to win two gold medals (and thus the first such person to win back-to-back gold medals) at an X Games. At that year's U.S. Snowboarding Grand Prix, she became the first woman to land back-to-back 1080 spins in a snowboarding competition. She scored a perfect 100 points, and is believed to be the second rider ever to do so, after Shaun White. 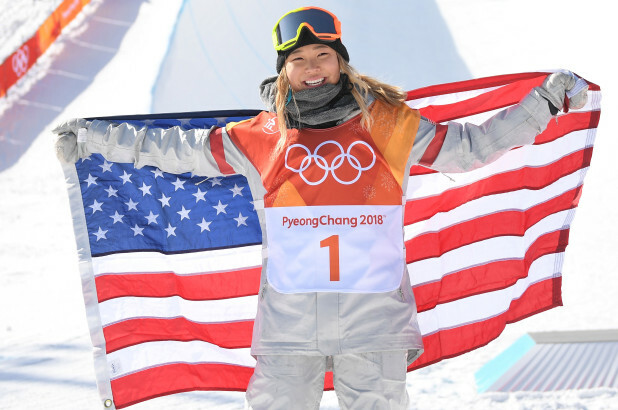 In 2016, she became the first American woman to win a gold medal in snowboarding at the Winter Youth Olympic Games, and earned the highest snowboarding score in Youth Olympic Games history at the time. She was selected as Team USA’s flag bearer for the Opening Ceremony of the 2016 Winter Youth Olympic Games, thus becoming the first snowboarder chosen to serve as flag bearer for Team USA at either the Olympic Winter Games or Youth Olympic Games. Kim was nominated for the 2016 ESPYS award for Best Breakthrough Athlete. 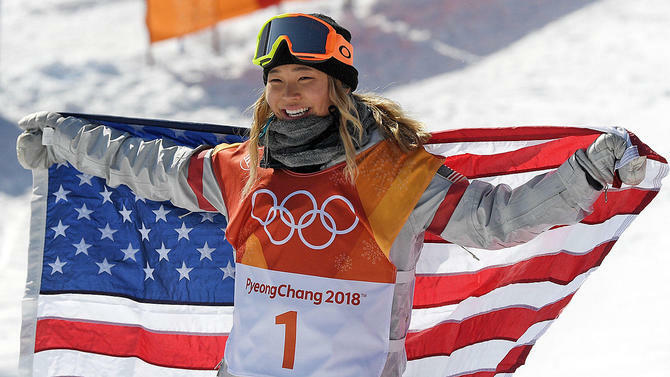 Anh today on Feb. 12, 2018, at the 2018 Winter Olympics in Pyeongchang, South Korea, Chloe Kim took Gold in the Women's Halfpipe finals. 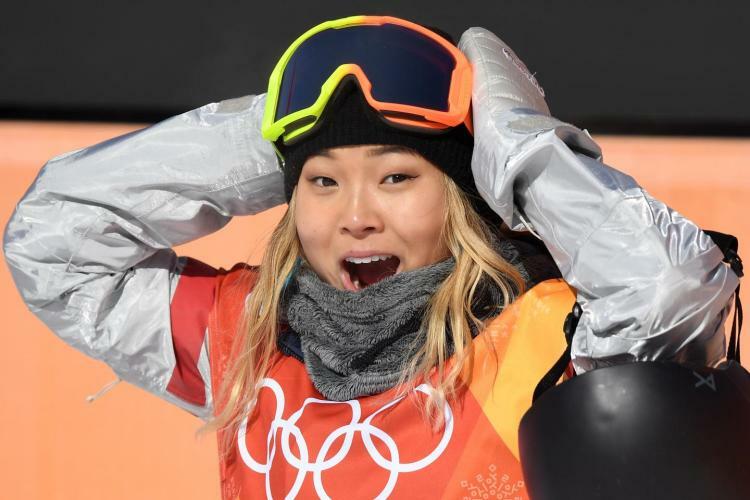 PYEONGCHANG, South Korea – American Chloe Kim, the wunderkind halfpipe snowboarder who has been the dominant figure in her sport as a teenager, blighted her competition on the way to Olympic gold Tuesday morning at Phoenix Snow Park. The 17-year-old Kim, whose parents moved to the United States from South Korea before she was born, scored a 93.75 on her first run, which was good enough to place her at the top of podium. She topped it on her final run with a 98.25. China’s Jiayu Liu won silver with a second run of 89.75, while American Arielle Gold took bronze with a final-run score of 85.75. Kim qualified for the Sochi Games and would have been the favorite if not for one problem: At 13, she was too young to participate. Neither her age nor her skills were an issue at the PyeongChang Games, where she entered as the heavy favorite and met the lofty expectations. In front of relatives who still live in Korea, Kim rode superior amplitude and impeccable style to the United States’ third gold medal in three snowboarding events after Red Gerard and Jamie Anderson won the slopestyle contests. The U.S. could find itself with a freestyle snowboarding sweep should two-time gold medalist Shaun White win his third in the men’s halfpipe Wednesday morning.